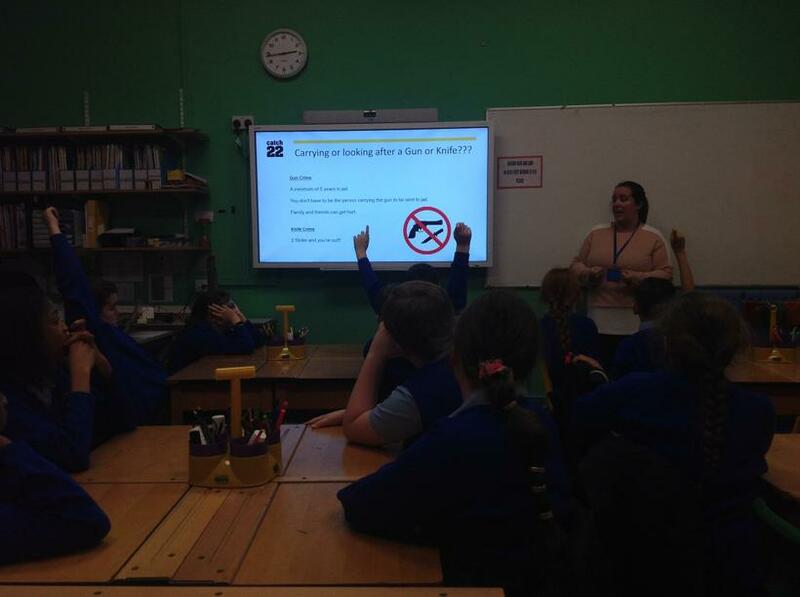 Year 6 took part in workshops with an organisation called Catch 22 to identify the risks and consequences of gangs and to identify the signals if someone is being groomed and what we can do about it. 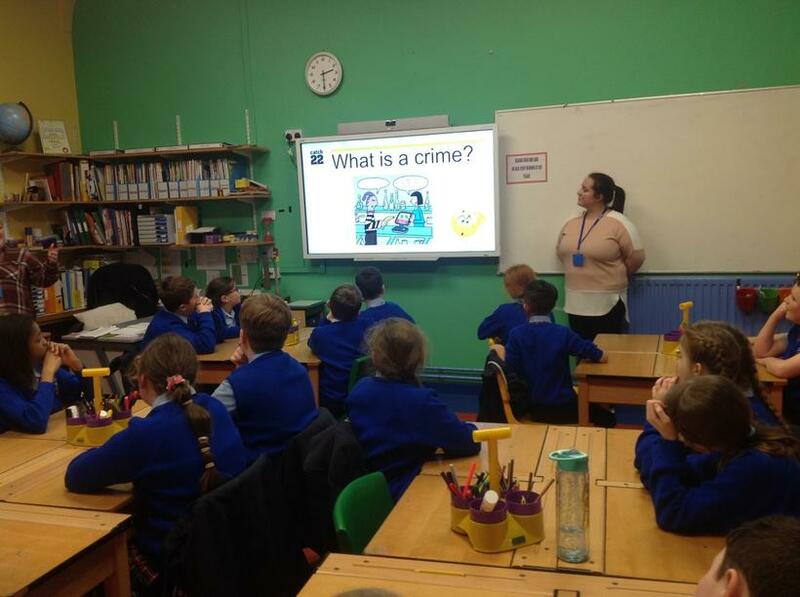 Firstly, as a class we defined what a crime is and discovered that the age of criminal responsibility was ten years old! 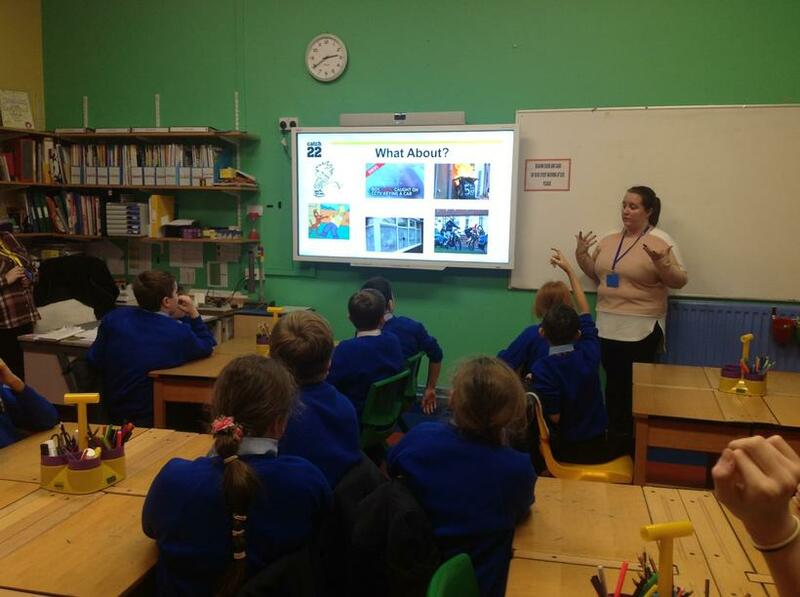 Next, we spoke in detail about how different crimes carry different prison sentences: namely, those for knife crime and gun crime, which we hear more and more about on the news. Did you know that it is a minimum sentence of five years if you are caught carrying a gun? 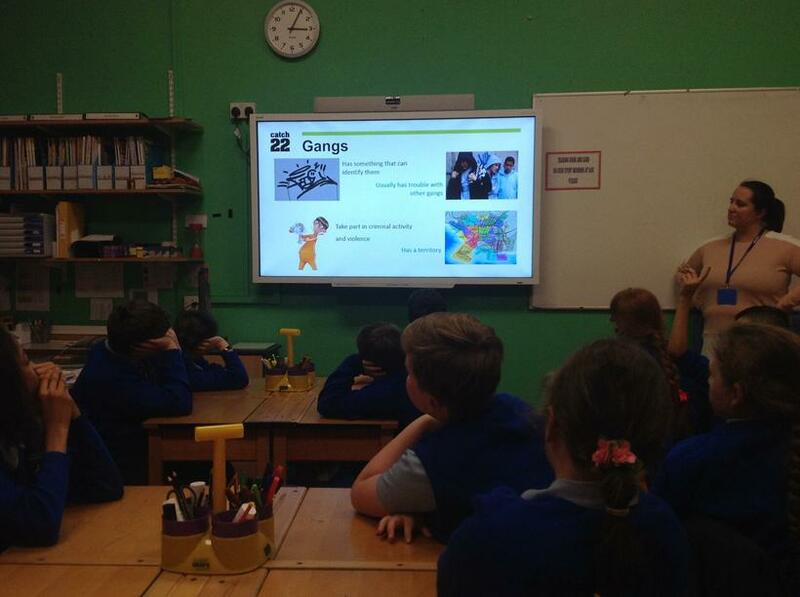 We then looked at what a gang was (how and why they make a gang) and how someone might be lured into one - we called this grooming. 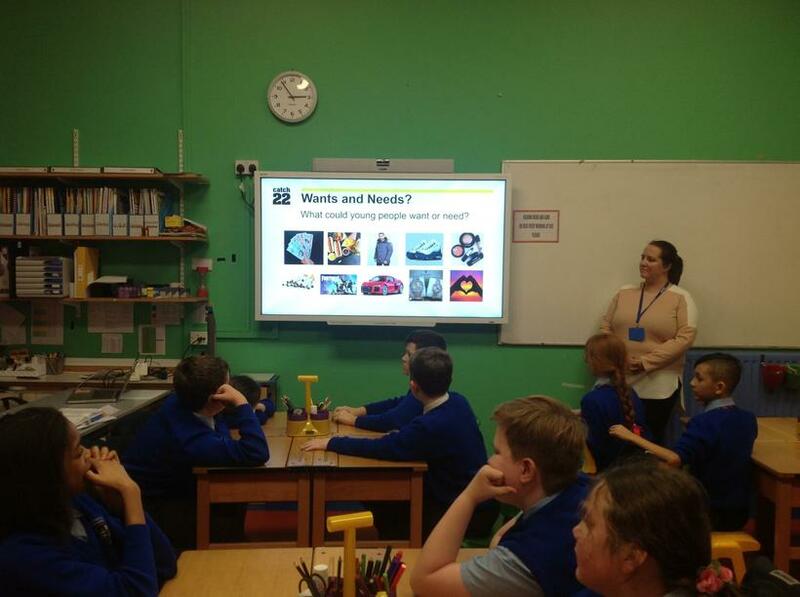 We learnt about the signs of someone being lured into a gang and some of the things that groomers might buy young people or get them to do as an initiation task. Importantly, we also considered that anyone has the potential to be a groomer - they do not have to look a particular way - it is their actions that makes them a groomer. We finished the session by reminding ourselves about who we can speak to should we be worried: a trusted adult; teachers; the Police; Childline (08001111) and CEOP.